From representing his hometown club at the age of six, through to his professional debut at 17 and to his first Germany cap two years later, Bayern Munich's Leon Goretzka has asserted himself as one of the most talented midfielders of his generation. Goretzka grew up in Bochum, just five minutes away from the legendary Ruhrstadion, the home of his boyhood heroes VfL. He still holds a season ticket for his hometown club, whom he joined at the age of six and debuted for aged 17. "He's Germany's biggest talent in 50 years," said his former Bochum coach Peter Neururer, delighted when he committed to a new five-year contract in 2012. Goretzka made his Germany debut aged 19, in the run-up to the 2014 World Cup. Although named by Joachim Löw in an expanded post-season selection, the midfielder did not make the final 23-man squad. Injuries and appearances for Germany's under-21s meant his next Germany cap did not arrive for a further two and a half years, though he has been a regular since being part of Germany's triumphant 2017 Confederations Cup squad, scoring a joint-tournament-leading three goals as Die Mannschaft lifted the trophy for the first time. During his first years at Schalke, Goretzka kept himself busy by studying for his Abitur (A-Levels/high-school diploma). 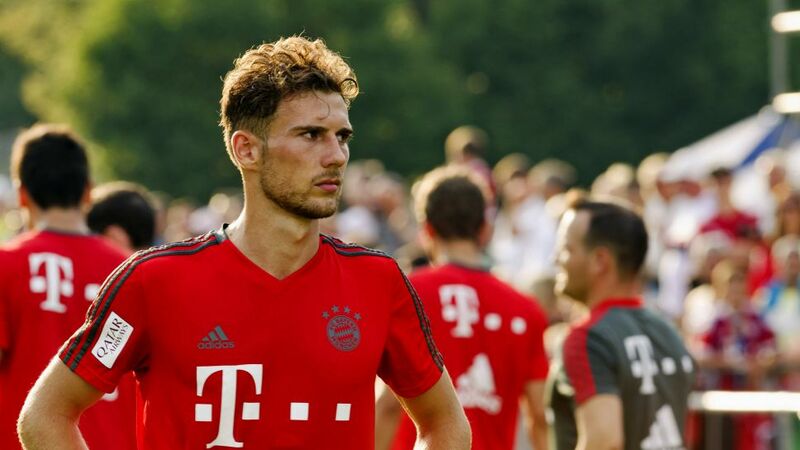 The further education exams are not obligatory in Germany, but Goretzka did "not want to be the black sheep" in his family, since his siblings all studied through to college. Furthermore, he felt that "having my Abitur could open doors for me after my playing career is over." Those early Schalke days were also plagued by injuries. Muscular ailments, flu, tonsillitis and even a broken arm set him back physically, but rarely psychologically, as Goretzka took it all with good humour. "I'd just got back into light training again when I'd suddenly find myself back in the gym doing the simplest of exercises, next to pensioners who were working out better than me," he told spox.com. The cause of all those injuries was eventually found – in his alimentation. "I completely changed what I eat," Goretzka told German sports magazine 11 Freunde. "I was diagnosed with a chronic bowel inflammation, which had been having a negative impact on my ability to recover from games. It was caused by different foods. I've stopped eating gluten, cow’s milk, pork and nuts. As a result, I have fewer issues with my health and can recover from a game much quicker." Goretzka captained Germany's Under-17s to the 2012 UEFA European Under-17 Championship final, netting in the 1-1 draw against the Netherlands. Germany eventually lost that final in a shoot-out, with Goretzka finishing the tournament as second top-scorer with two goals, behind his future Schalke team-mate Max Meyer, who scored three. That year, he also scored 11 goals in 15 games for Bochum's youth team – his best single-season haul of goals to date, and that as a defensive midfielder. Goretzka described himself and his Germany U-17 teammates in an interview with UEFA.com. "I try to lead by example, giving the instructions on the field and being the playmaker for the team," he said. "I look up to the likes of Bastian Schweinsteiger and Toni Kroos." As for Julian Brandt, he described him as "one year younger than the rest of us and is a little shy – he doesn't pipe up in the group like some. But he impresses us all with his skills on the pitch, and has our respect," while Timo Werner is "crazy, always chatting and cheering us up. On the pitch he is very fast, and a good weapon for us."